I’d opened a can of coconut milk last night and only used 1 tablespoon in the fish stuffed cabbage, so tonight I was using the rest to make this.. I only had a red Thai curry paste and decided to use a mango chutney for this and obviously was using coconut milk rather than stock.. 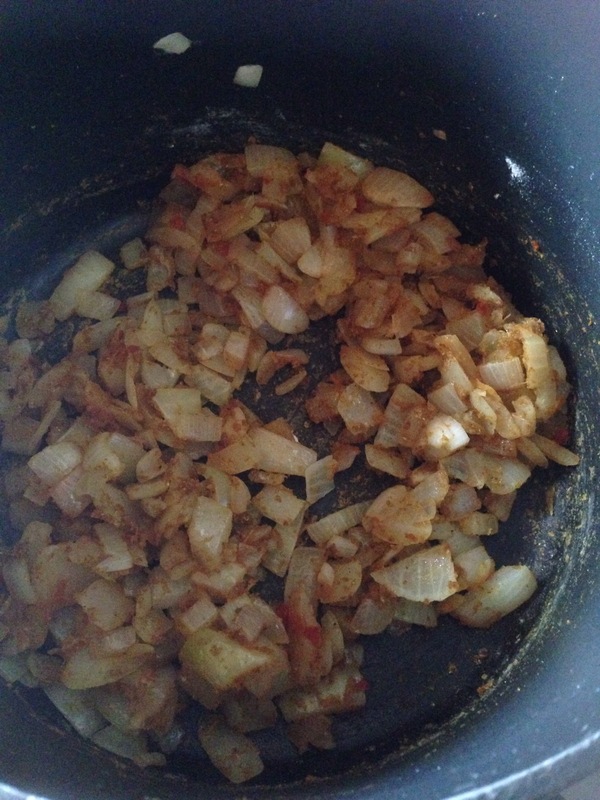 The onions were browned in the butter for about ten minutes before they were turning golden. 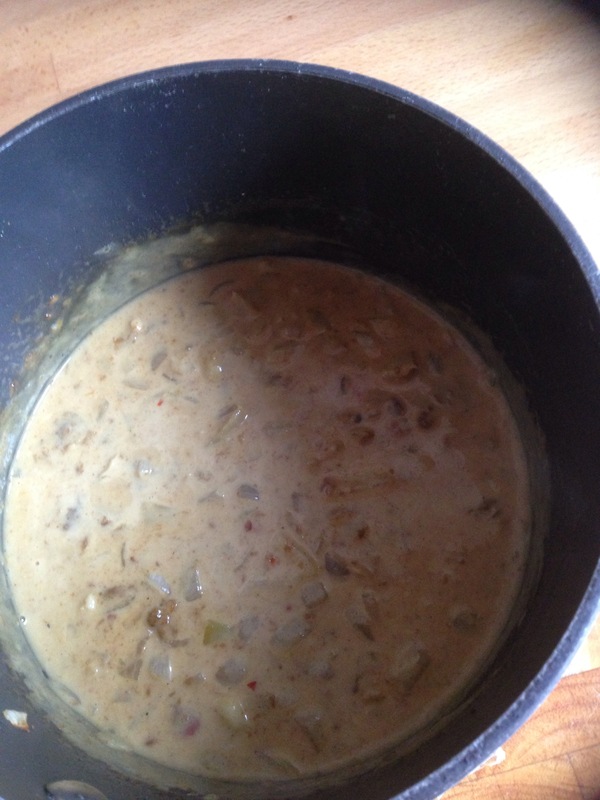 Next I added the paste, curry powder and regular plain flour, and the smell from all that frying together was good. 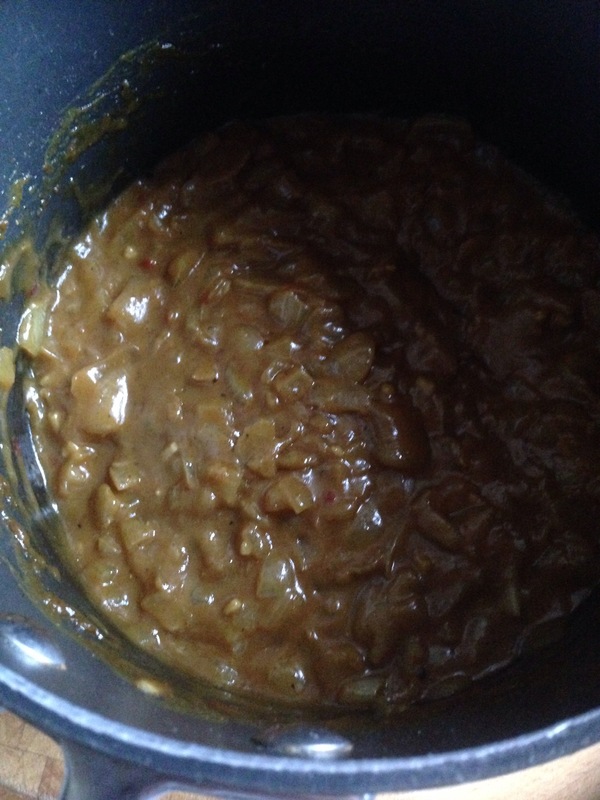 Next in went the garlic and coconut and once that was starting to simmer slightly I added the chutney and seasonings. It starts off at this point as quite a pale sauce..
…but after about 30 minutes its transformed into a dark, thick, sticky sauce that smells pretty damn good!! 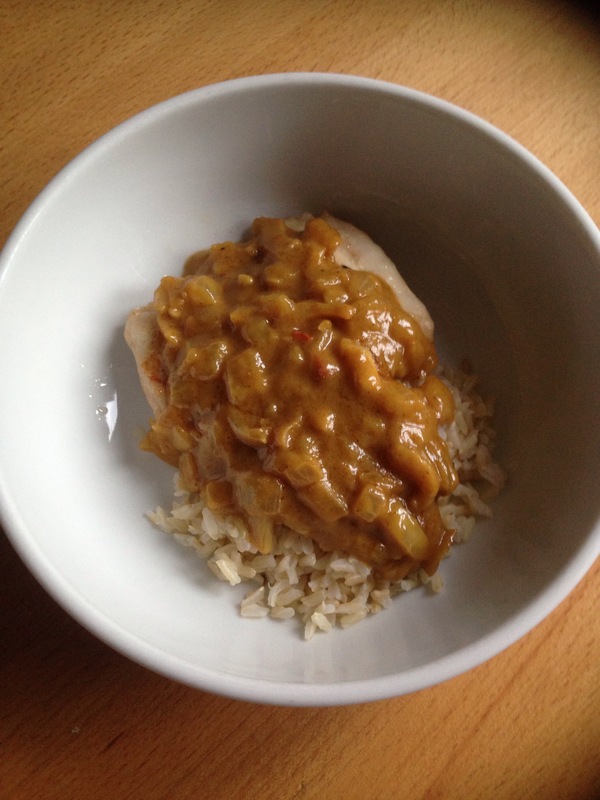 I served this with some chicken thighs and rice and took another great looking picture…. It is a really thick sauce which is maybe edging towards slightly gelatinous and do perhaps think it didn’t really need the flour, but I don’t mind at all because it tastes so good! It was perfect with the chicken and the combinations of all the flavours from the chutney and pastes and powder is really really good. Would I make this again? Yes, I think this will taste even better if eaten the next day! As well as an abundance of chives I also have rather a lot of mint growing in my garden, it’s almost taking over my herb garden! So always looking for things to make with it and tonight we were having lamb chops for tea and this recipe seemed like an obvious choice! The recipe says a small bunch which is a touch vague, so I used this much.. So because the mint quantity is a bit vague it made me wonder how the sugar quantity can be so exact!! Anyway I sprinkled that over the mint..
Then chopped the mint as finely as I could.. I put that into my sauceboat then added the water and then vinegar. I just used white vinegar and that’s a pretty vague quantity as well!! 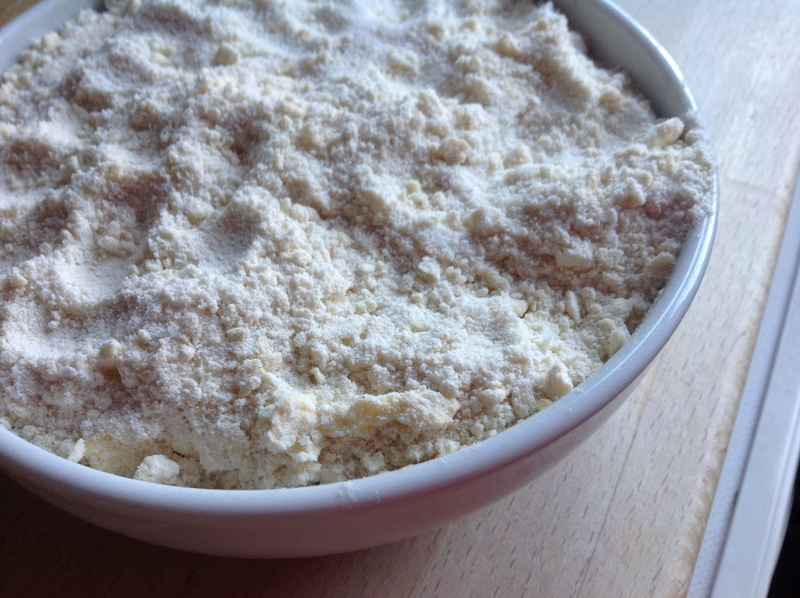 I put in one tablespoon first then tasted later on and added splash more. 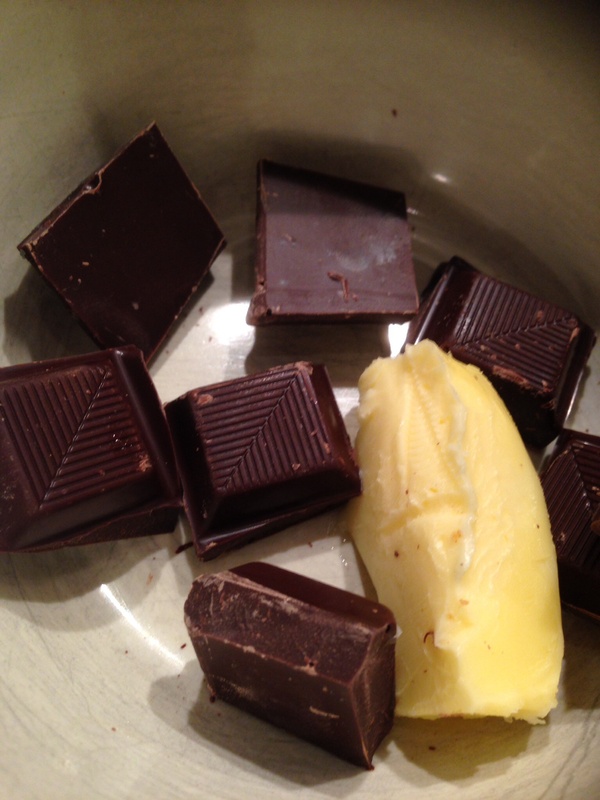 So I guess it depends on how you like it, it was quite sweet and I prefer it a bit tart so added more vinegar. After an hour the mint was much darker and all very soft..
We were having this with lamb gigot chops, homemade oven chips and watercress salad..
Well I loved this! I’ve always liked mint sauce and remember we had it a lot as kids, it was either sauce or mint jelly which was much sweeter! I do think it could’ve done with a fraction more vinegar or I should’ve reduced the sugar, but I really loved the freshness if it. Would I make this again? Yes, still loads more mint!! We were having steamed salmon for tea, and the chives growing in my garden are getting slightly out of control, so I decided to try this sauce tonight.. 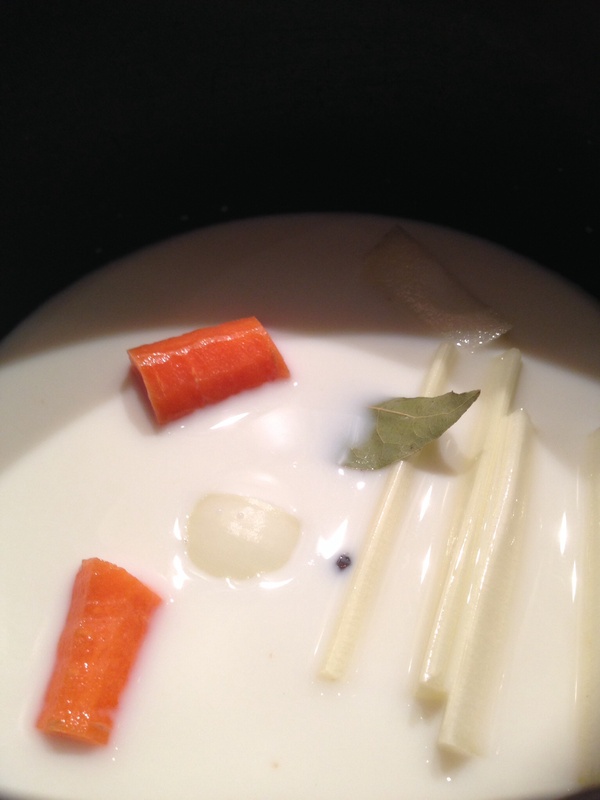 This recipe actually comes under a sub heading of variations on simple white sauce, and that’s exactly what it is! First off I made a simple white sauce..
Then I boiled an egg, chopped that up, cut some chives from the garden and chopped them up.. So once the sauce is done, the egg and chives are added.. So that’s it! 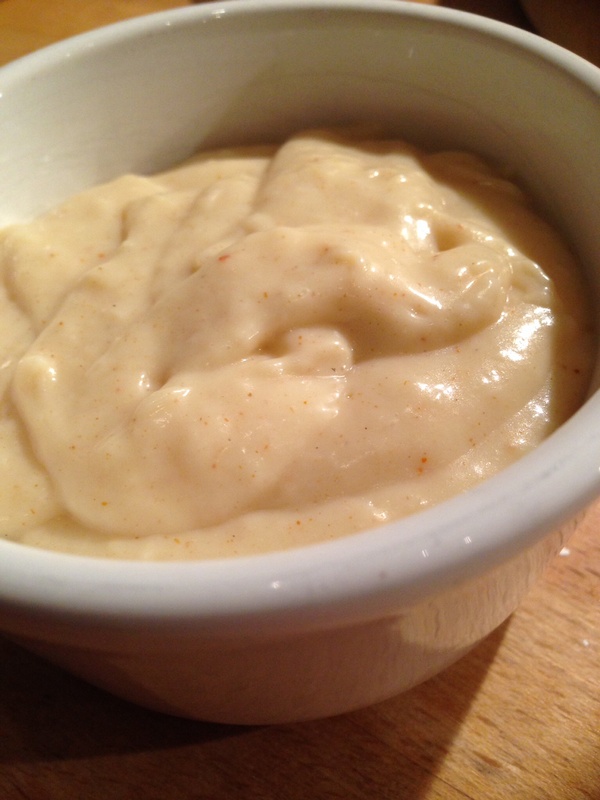 A simple egg sauce..
We were having steamed salmon, potatoes and spinach for tea which was perfect for having with this sauce! Well as sauces go this isn’t too bad at all!! I don’t think I’m completely over my dislike of eggs but when it’s coated in a well seasoned sauce and combined with some fresh chives it’s bearable!! I did actually really enjoy this sauce with the fish and veg but for some reason the other two weren’t so keen!! This is obviously in the sauce chapter but comes under a sub heading of ice cream sauces. 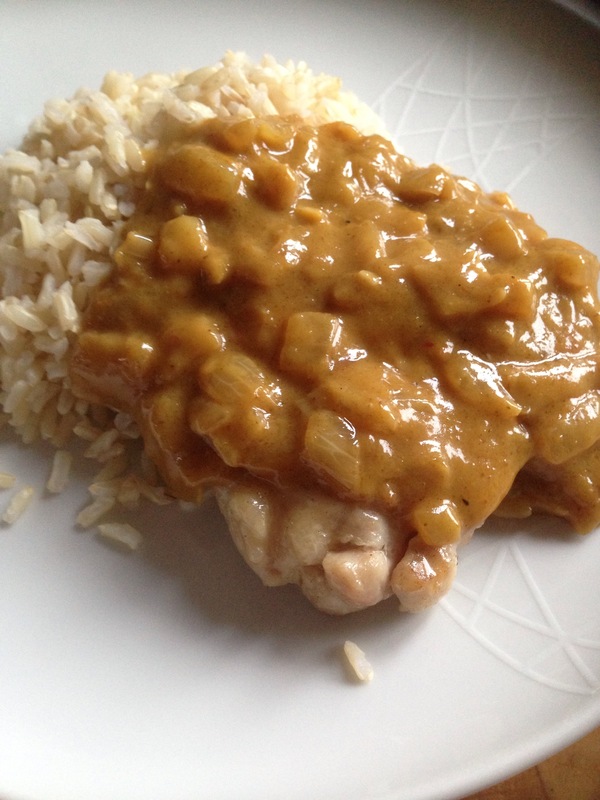 I made the butterscotch sauce a while back and it was brilliant! 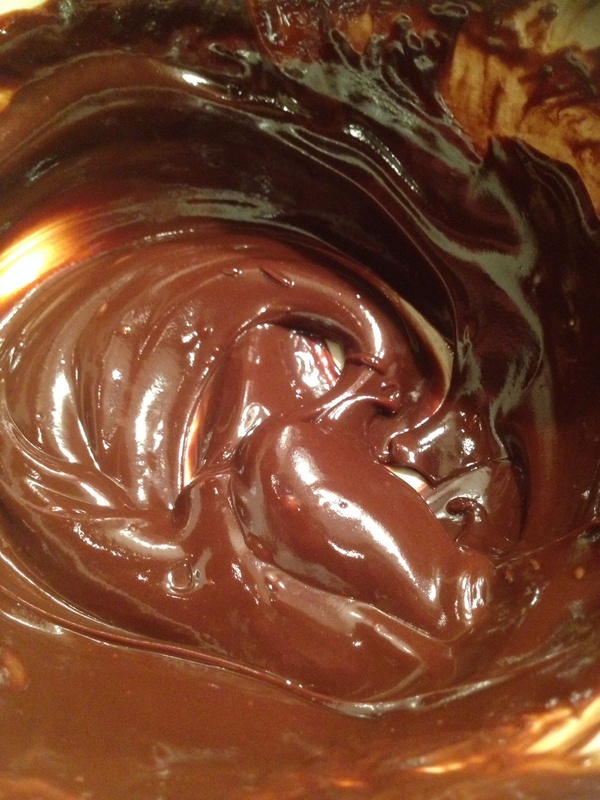 I’ve also made the chocolate sauce from this same chapter but made slightly differently with cocoa powder and corn flour. So tonight me and my daughter decided to try this with our ice cream..
Not really much cooking to this more just some mixing, easy enough that a 6 year old can manage! 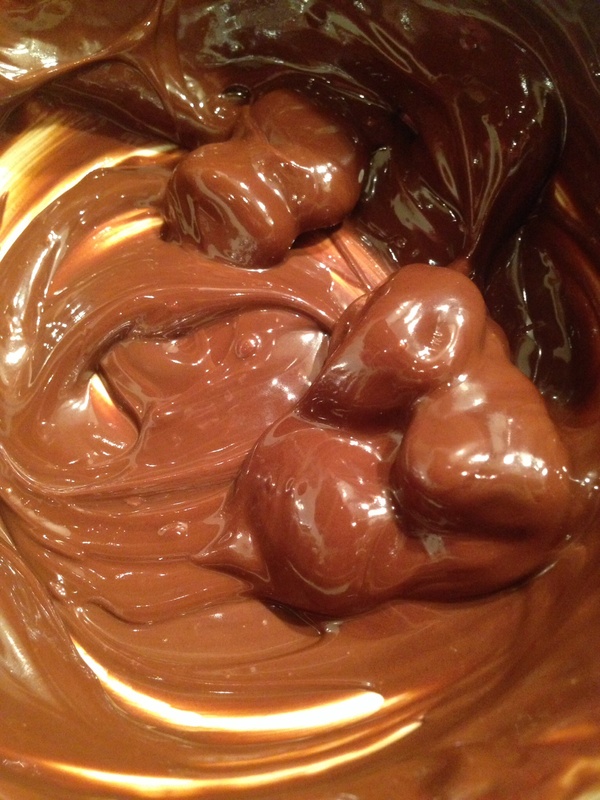 First off the chocolate and butter are melted together..
We had several arguments during this first process, mainly due to her continually asking when the spoon was ready for licking! 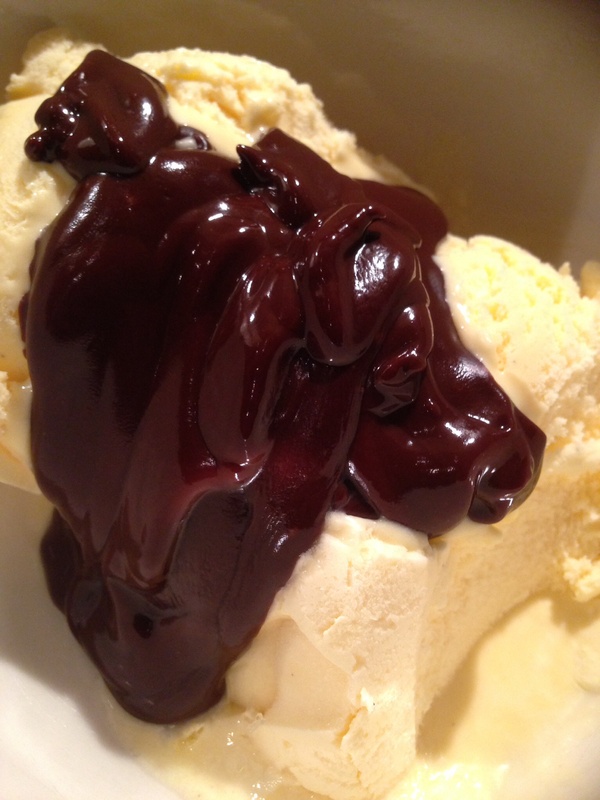 The chcolate and butter do melt together nicely, and I was wondering how the milk would affect it, and quite surprisingly it does change into a darker, glossier sauce..
We quickly poured it over the ice cream..
Ordinarily I’d leave it just like this but considering there is an abundance of other chocolates and sweeties in our house we decided to add another couple for decoration.. 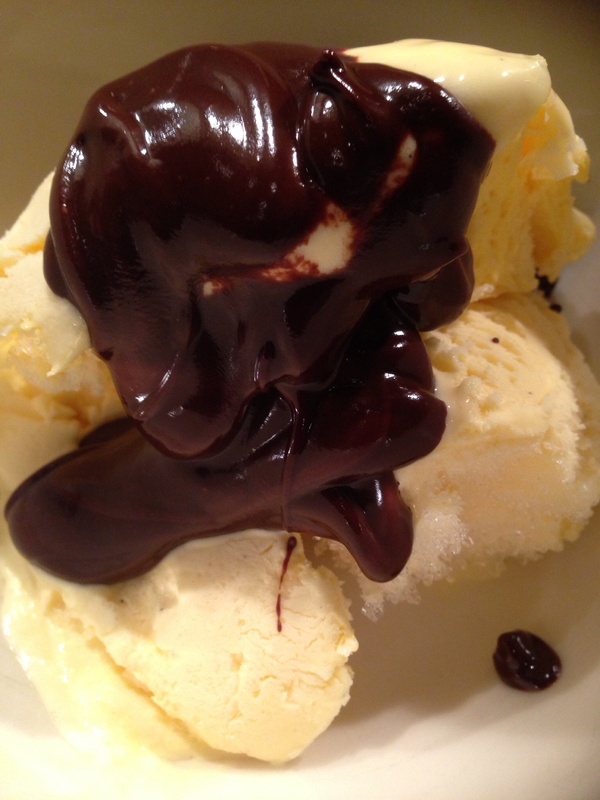 I remember this chocolate sauce we used to get as kids and it set when you poured it over the ice cream, we loved it as kids! I found it in a shop recently and it wasn’t as nice as I remember, maybe my taste buds have changed or they don’t make things as good as they used to! 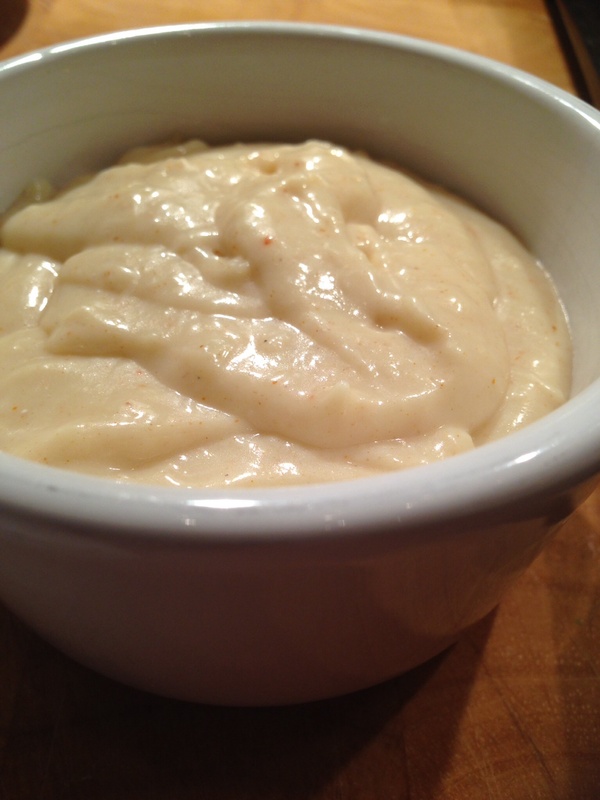 Anyway this sauce does start to set in the ice cream and it’s fantastic! 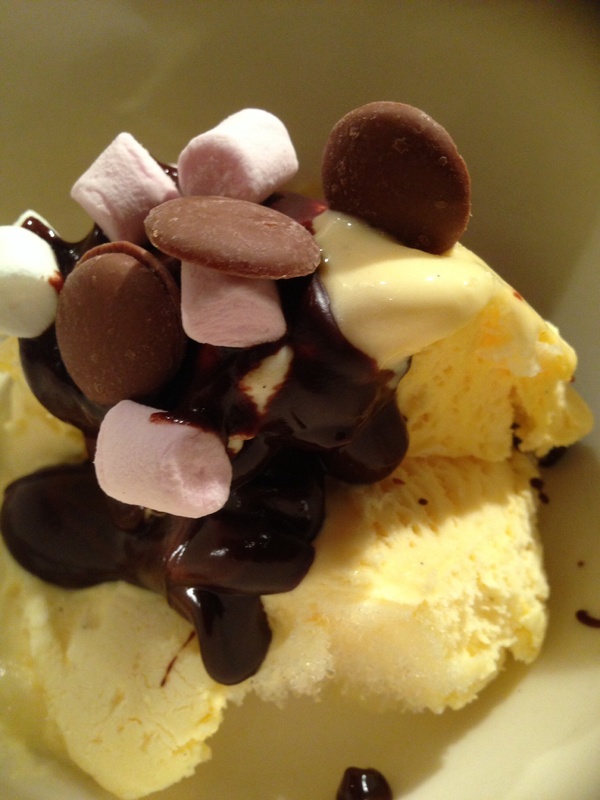 It’s just perfect with the ice cream and quite possibly the best chocolate sauce I’ve ever had!! I do also think it would be great with warm chocolate cake but then you wouldn’t get the setting effect. It doesn’t set as solid as that stuff we used to get but sets to a really really great consistency. Would I make this again? Most definitely, and there was a fight over who got to like the bowl! This recipe doesn’t excite me at all! 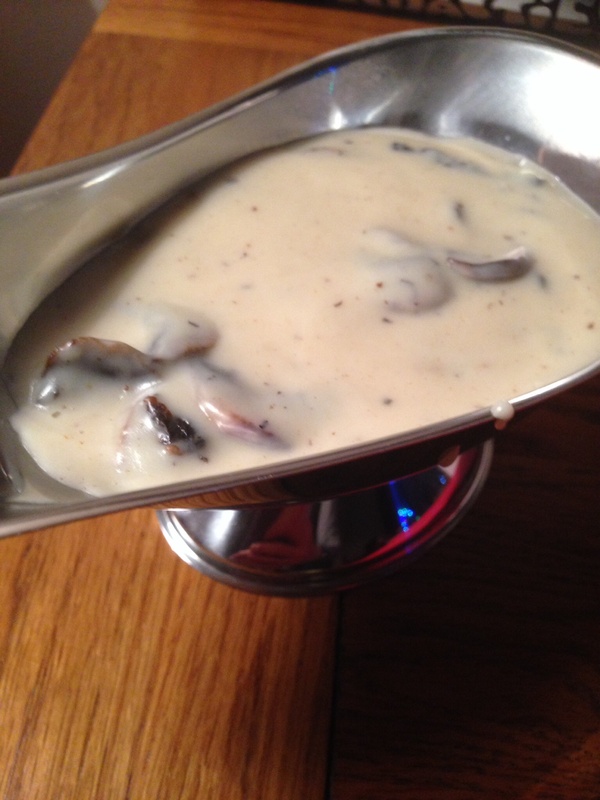 It’s pretty much a white sauce with fried mushrooms flung in.. I had some mushrooms that badly needed using up and we were having chicken for tea so thought this would be a good sauce to try. 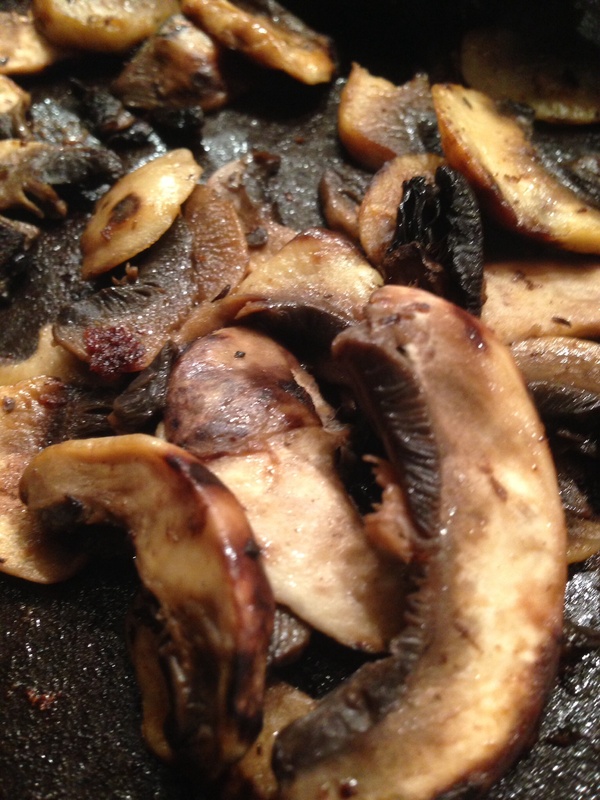 The white sauce bit is easy enough but then I think I may have overcooked the mushrooms.. 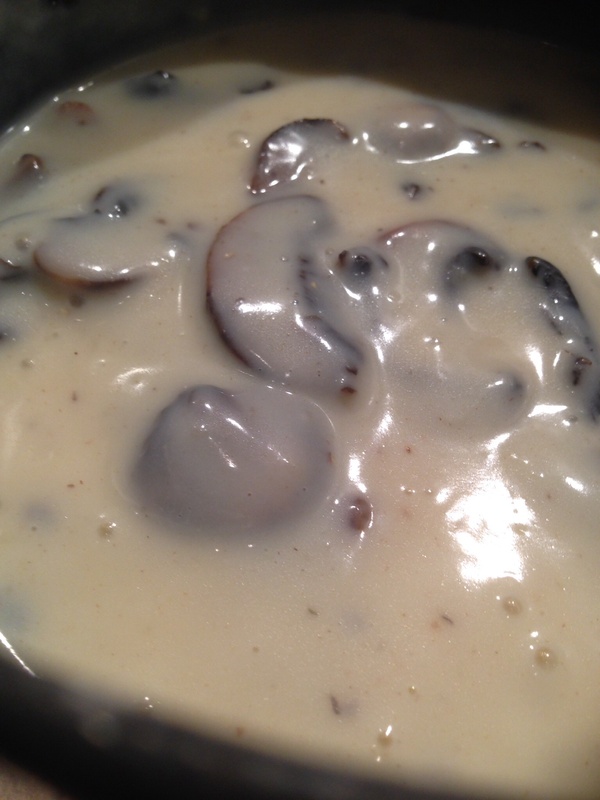 So once the mushrooms are cooked and the white sauce is ready then they are just mixed together.. So we had this with some stuffed chicken thighs and mashed potatoes, and was ok. I just felt it really needed something else, some paprika or chives or anything really! 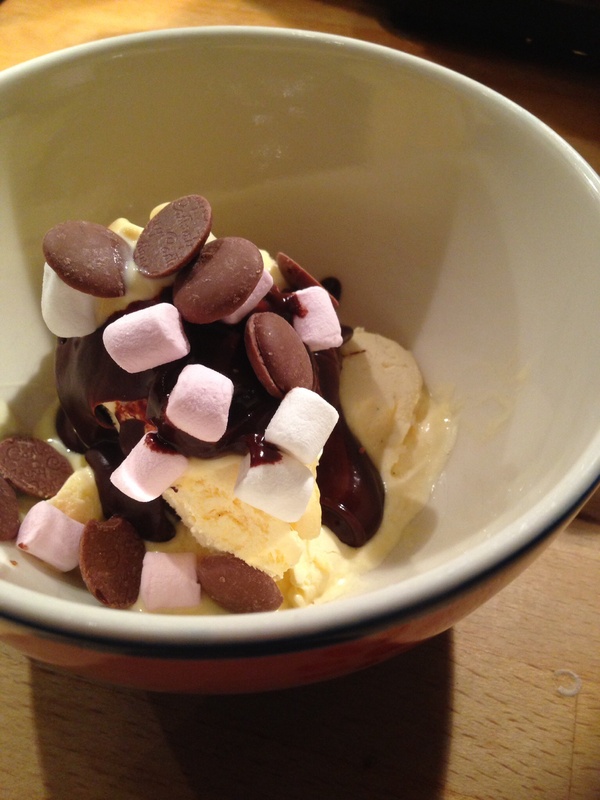 It’s another recipe ticked off but not one of my favourites! 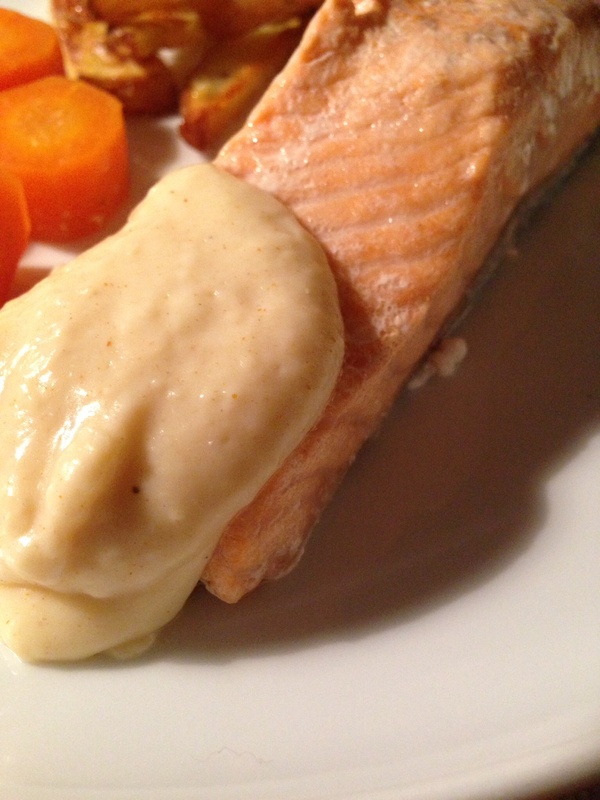 We were having salmon for dinner and this sauce says to serve with fish so gave it a go..
First off I made a bechamel sauce using the recipe from the same chapter..
Once the sauce was thickened I added the cheese and paprika and I was using Parmesan for this. As I was stirring in the cheese and seasonings I was thinking I had let the sauce thicken a bit too much as it all did look a bit gloopy! I just served this at is with steamed salmon and veg.. I have to say I didn’t love this. The consistency was all a bit unpleasant and there definitely wasn’t enough paprika. The only thing I think I did wrong was let it thicken too much. 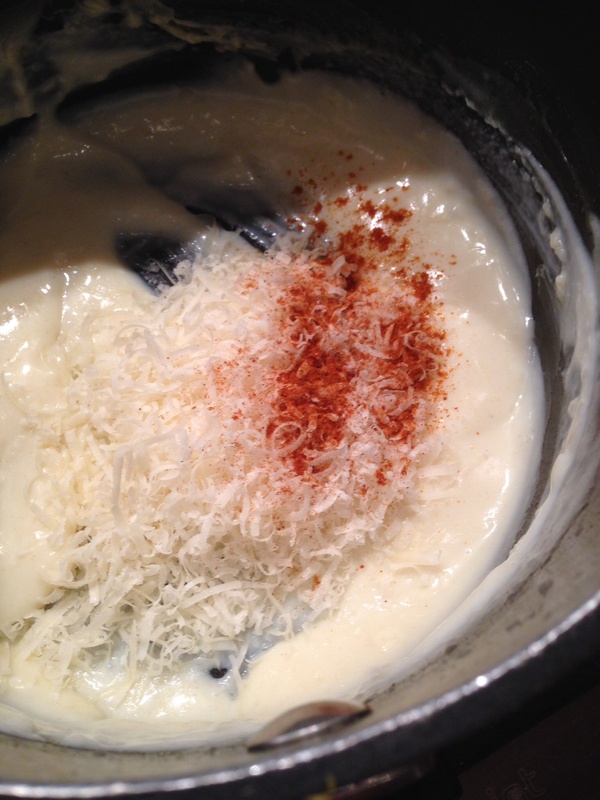 So then I had to google mornay sauce to see how this compares and most other versions were similar; a bechamel sauce mixed with gruyere and/or Parmesan. 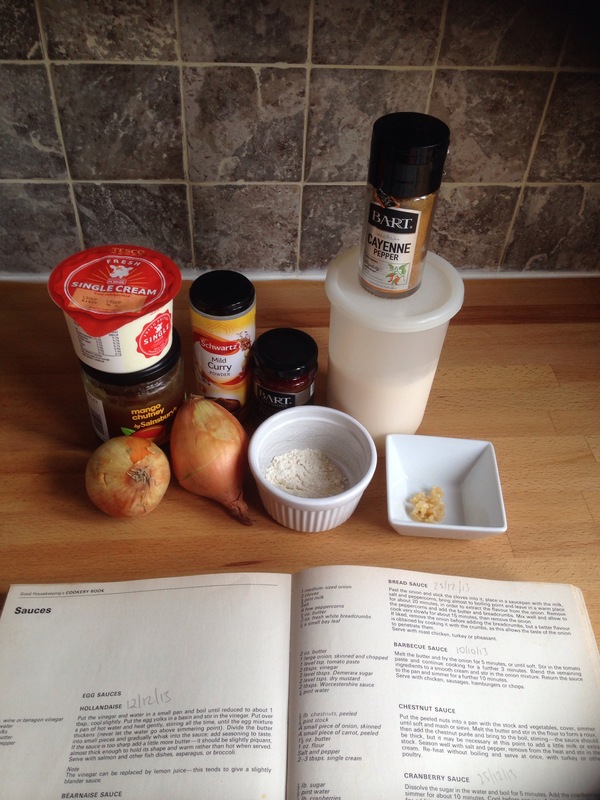 Although most other recipes said the sauce should be used to glaze fish veg or eggs before grilling or baking them! Wish I’d read that before! It’s been a while since I made a crumble, and I’ve never actually made custard before. Think that this is very much a cheats custard but thought it was a good place for me to start as a custard novice..
For the crumble topping I fancied adding cinnamon so I went with that variation. So the custard isn’t really a proper custard as there’s no egg yolks involved! I think I was put off custard by the horrible gloopy stuff they served in my school, I even remember they used to serve this awful cold pink custard!! I honestly don’t remember the last time I ate custard! So it was easy enough to make, I was halving the recipe and think I wanted thicker custard so opted for 1 tbsp of custard powder. The custard powder is pure white, but the minute you add the milk it turns dark yellow, and at this point I was thinking this wasn’t going to go well! Then when you add the milk and then cook until it thickens it actually starts to smell and look like custard! Even though I was using already stewed fruit I think it was in the oven for closer to 40 minutes before I felt that the topping was properly cooked.. 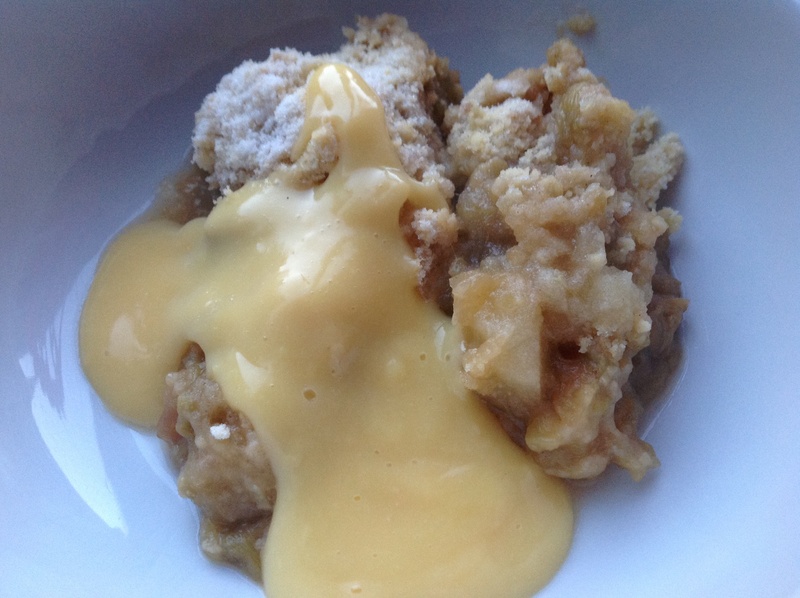 So I was serving the custard slightly thicker and warm with the crumble hot from the oven, and together it was great! 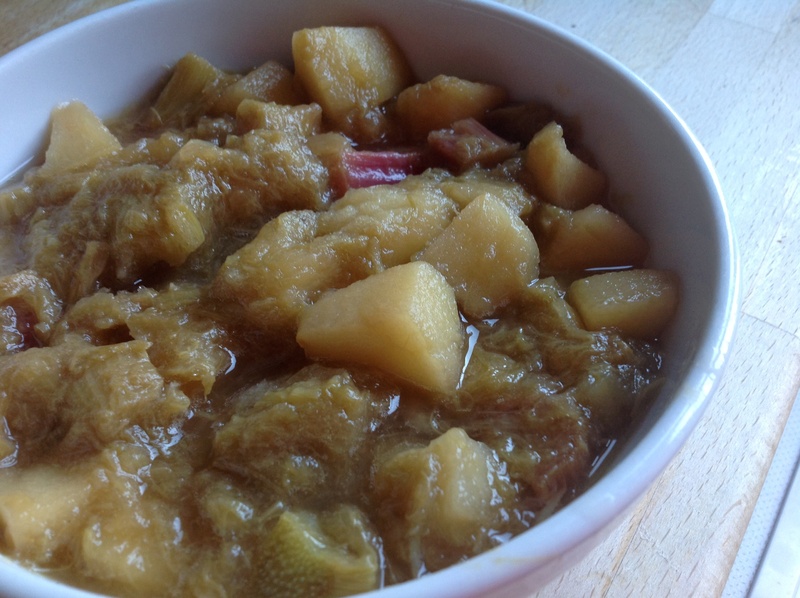 The fruit isn’t too sweet and good combination of apple and rhubarb. 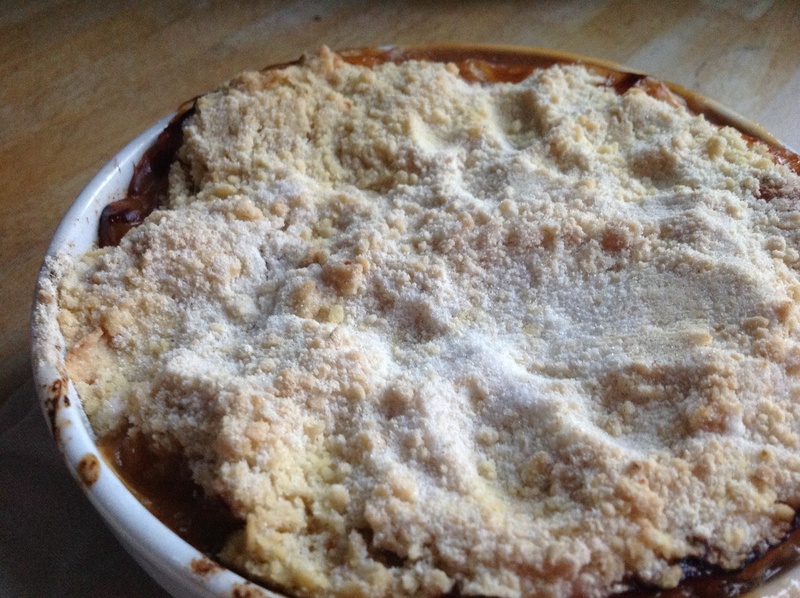 The crumble topping is just fab, I think it could do with even more! 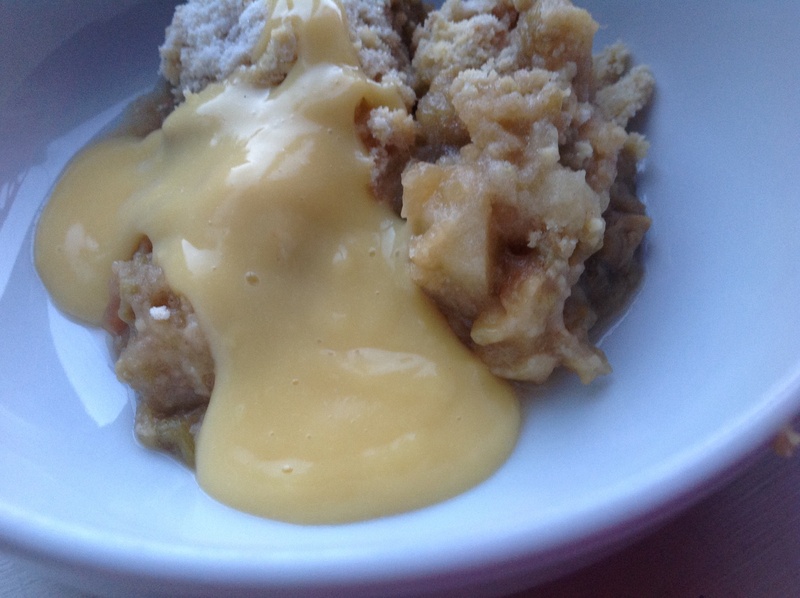 The custard is nice with the crumble but it wasn’t that good on its own! I think I need to make the effort and do the proper egg custard and see what that’s like! Overall all though it was a great pud!